Associated Student Government chief of staff Lars Benson presents to the ASG Senate Wednesday. During the meeting, ASG announced they had a $20,000 surplus. Associated Student Government president Nehaarika Mulukutla announced in Wednesday’s Senate meeting that the group currently has a $20,000 surplus due to a budget misallocation. “As an executive board, we just got to decide what we were going to do with it,” Mulukutla said. She said the executive board had already decided to allocate $10,000 of the sum to Student Enrichment Services. Chief of staff Lars Benson told The Daily that ASG decided to donate the $10,000 to the SES Student Activities Scholarship Fund in addition to the $10,000 ASG has donated annually to SES for the past three years. The extra money came from a student group that applied for an additional $20,000 from the University for their budget last year, speaker Daniella Lumpkin told The Daily. She said the money was intended for an event, but it wasn’t spent and rolled back at the end of Fall Quarter into the general A-status group funds. The remaining $10,000 is not yet allocated, but Lumpkin said ASG is evaluating which departments would best use the funding to make the greatest impact on the student body. 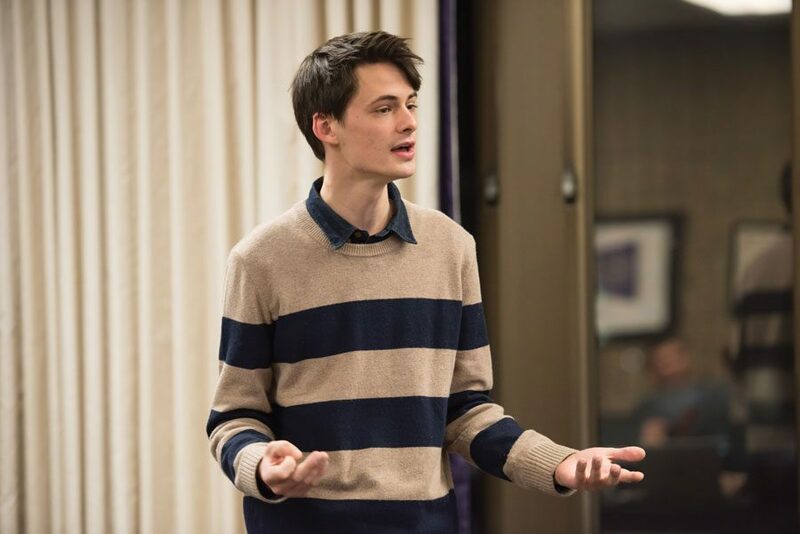 Additionally, executive board members announced that Senate has opened the applications for B-status funding next academic year and the Student Group Seat Apportionment application, which allows student groups to apply to send representatives to Senate. Both applications will close Feb. 21. Senate ended the meeting by voting to establish the Senate Reform Ad-Hoc Committee. This temporary committee, proposed by Medill sophomore Gabrielle Bienasz and Weinberg freshman Katherine Conte, will submit a report to the Senate about possible internal reforms for equitable representation. Wednesday’s meeting marked ASG’s first Facebook livestream of Senate, which will continue with future meetings to increase transparency, said vice president for public relations Emily Ash.